Tomb Raider fans with ten seconds to kill have been given a great opportunity to inflict themselves upon the poor citizens of Derby by voting to christen the U.K. city's new ring road as "Lara Croft Way." Back in July, the Derby City Council asked for help coming up with names for two new stretches of the city's inner ring road. More than 100 suggestions were made, which were eventually whittled down to a list of eight that's been posted on the City Council website for a final vote. The two top vote-getters will be used to name the new additions to the road. 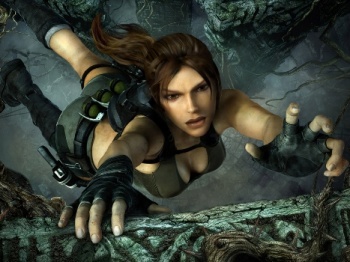 There is actually a legitimate connection between Lara Croft and Derby: Core Design, the studio behind the original Tomb Raider, was based in Derby before it went under in 2006. And that, as the saying goes, is good enough for the girls I go with. Cast your vote for Lara at derby.gov.uk.